HERE IS THE complete list of Janet Napoles’s shocking revelations on the pork barrel scam as told before the Senate Blue Ribbon Committee in a hearing held Thursday, November 7, 2013. Denying reports they’re rich, she described their status as “sakto lang.” If “sakto lang” means owning 30 cars, 28 houses, 200 Heritage Park lots, and 107 bank accounts under her name, then the rest of us are what? Echinoderms? Parameciums? Dinoflagellates? 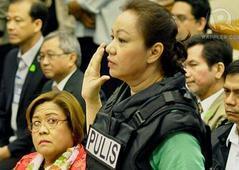 Throughout the hearing, Janet Lim-Napoles was wearing a bullet-proof vest. For someone whose skin was beyond thick, was that even needed? As soon as Sen. Miriam Defensor-Santiago was acknowledged by committee chair TG Guingona, the feisty lawmaker told Janet Napoles, “There you are. Let me take a good look at you.” Napoles felt really uncomfortable. She didn’t expect Senator Miriam to be stricter than the security in Malacañang. The hearing lasted six hours but Janet Lim-Napoles failed to give new or substantial information on the pork barrel mess. 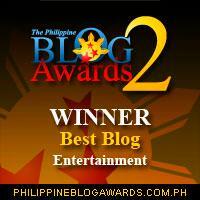 Arnold Clavio was extremely disappointed. 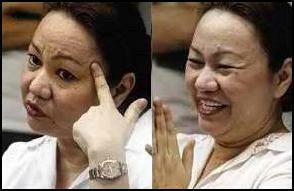 Napoles just kept burying herself deeper into the pork barrel scam –and exposed her own guilty in the minds of majority of the audiences nationwide who watched the televised Senate Blue Ribbon Committee investigation. Her “hindi po totoo” and “hindi ko po alam” answers and invoking self-incrimination refugee merely confirmed to the public her guilt. Some taxi and jeepney drivers, and even talipapa vendors who watched it said there was no question “talaga ho siyang umaman sa pagnanakaw ng ating my buwis an ibinabayad na VAT sa lahat ng ating binibili.” Obviously she committed perjury in that hearing. And it will not be surprising if the Senatos slap her with that charge. tsk! nag scroll down ako paulit ulit at inisip bakit wala akong mabasa.. haha! nice one! Hmm.. naka subscribe po ako sa blog nyo at promise yun dumating sakin na email hanggang dun lang sa quote and sound bites ang nakalagay. ang sound bites pa nga ay: WALA HONG SCAM. This blog never fails to make me smile/laugh/very entertained each and every entry I’ve read. Confirmed! BS Bio major ka din talaga! hahaha! Nice scoop though!